FORT WORKS ART is pleased to announce “Coquette”, artist, Dan Lam’s first major exhibition. This exhibit will run from August 2, 2016 – September 17, 2016 with an opening reception, Friday, August 6 from 6-11:00 p.m. “Coquette” will be Lam’s first solo exhibition of this magnitude, and will feature all new large-scale installation work. Coupled with this, will be multiple “drippy” sculptures that she has become known for, that she will position in various “environments” throughout the gallery. In today’s visual climate, it is extraordinarily rare to see an image that is unique. Even more so, for something to make you stop and stare. Dan Lam’s work does just that. Her use of color and vibrancy attracts the eye, but it is the ambiguous, multi-textural qualities that elicit powerful reactions from the viewer. Some are turned off, others delighted by these “drippy things.” This extreme contrast is one of the things that makes her work so powerful. “What are these creature-like forms? How are they made? What are they? Can I touch it?” Dan Lam’s work is quite obviously provocative. Lam has tirelessly been working at Fort Works Art, in their first residency at their new space, preparing for this monumental show. Lam’s work and style are truly just beginning to evolve and although the objects she creates are tricky to identify, they are definitely impossible to forget. Please join us for this powerhouse exhibition that will run for 7 weeks at Fort Works Art’s new brick-and-mortar gallery in Fort Worth, TX. Dan Lam was born in the Philippines to a Vietnamese family who relocated to Texas when she was a child. 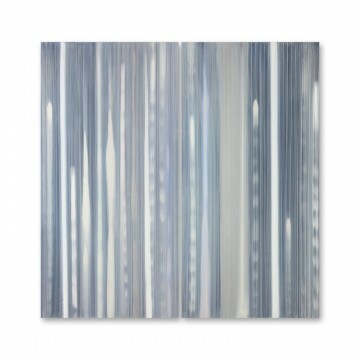 She currently resides in Dallas, TX where she works primarily alone in her studio. Lam received her B.F.A. in 2010 from the University of North Texas and later completed a Masters of Fine Arts degree at Arizona State University. 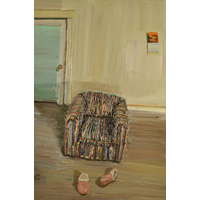 She has been published in New American Paintings twice and featured on the Insider. As well as her representation by Fort Works Art, Lam’s work can be seen throughout the United Sates at other premier galleries.